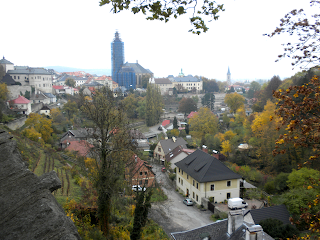 Czech Off the Beaten Path was established back in 2007--eight years ago! The time's passed quickly and I've had many adventures since moving to the Czech Republic. This blog was started as a project to share my expat experiences, along with life married to a handsome Czech. When I started writing CZOBP, I had no idea what direction the blog would take. It's become a mixture of travelogue, life experiences and funny "foreigner" stories (me--as the foreigner!) and more. 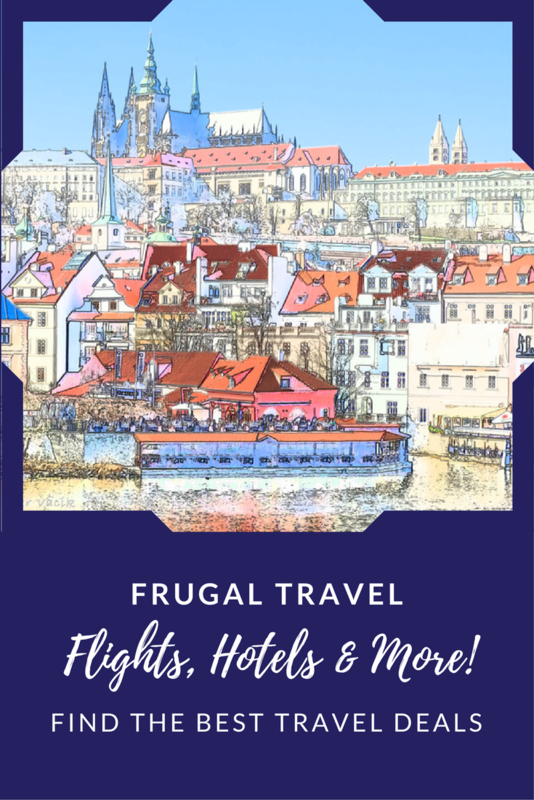 Czech Off the Beaten Path has not only provided me with a place to share stories, but it's also been a place where I continue to connect with readers and meet new people. Some readers are fellow expats in the Czech Republic and other countries, while others are back in the U.S. wondering what life is like out in the world. Along with meeting people, the blog has been a way to find freelance work and network with other freelancers. In addition, writing this blog led me to writing for BellaOnline's Asthma site, along with writing my first ebook about asthma and working on my own freelance website. The past few months have been pretty busy with freelance work, but I've not been able to write much. Family matters have come to the fore. My grandma passed away (at 100 years 11 months) and I lost my eldest daughter to PTSD (she's chosen to distance herself from everyone in our family. I hope and pray that we'll all be reunited one day). These two losses have hit me pretty hard. My mother-in-law suffered a severe stroke back in June. This has had a profound effect on life for Jiri and I, but we continue to work through this situation together. I've also had to deal with my own health issues that are not life-threatening (nothing serious--just make you not feel so great). With all of this, writing just came to a stop. It's not writer's block, at least not in the traditional sense. I've had so much to write about, but just couldn't sit down and get it out. This has been more of an emotional issue--working through everything had to take precedence. However, I've finally gotten to a place where I've started writing again, and it sure feels good! The future looks bright--my brother is marrying the love of his life this summer! I see his bride as the sister I've been waiting for--this has been in the making for 30 years or so! This is a very joyous time for our whole family! My youngest daughter graduated with her master's degree this past May. She's back to work and happy with her new life. We're all very proud of her accomplishments. I have to say I'm one very proud mother! Jirka and I continue to work on our cross-cultural marriage--there are always new experiences to deal with together. Each new experience points out some area that needs tending in our relationship. At times this leads to cross-cultural misunderstandings, but we keep working through together. We'll soon be celebrating our 11th anniversary, which is also the 9th anniversary of when I moved to the Czech Republic! I'm also working on an update to my asthma ebook, along with another book to create an asthma series. I also have ideas for other books based on my expat experiences, etc. The future is bright, indeed! Jiri and I took a trip to Kutná Hora this past Wednesday. We had a wonderful time in that beautiful, ancient city. I'm working on a blog post about our trip and the things we saw, so be sure to check back for that post! Thanks to all of you who continue to come by and visit--thanks for also visiting the CZOBP Facebook page and connecting on Twitter! It's been great meeting you all and I look forward to connecting with new people as the blog continues! Thanks, again, and have a wonderful day! It sounds like you've been through a lot this year and it's understandable that your writing has had to take a back seat. It's good to see you back and it's great that the future looks bright for you! I'm working on a new post about a visit Jiri and I took to Kutna Hora last week. It's a gem of a city! Thanks, again, Roz and I hope and pray things are going great for you, too! That's quite a year. Wishing you and your Jiri all the best and look forward to when you feel up to posting again. Congratulations Sherry!! Your blog was one of the first I found in 2009 when I began the process of relocating to Czechland. It helped me quite a bit so thank you for that. I know it can be difficult to find time to post but I don't know how you've done it with such a challenging year. All the best in the years to come. Thanks for your comment, Mona! It's certainly been quite a year--but we also have some great news! My brother is marrying the love of his life next summer! Things are looking up and we're all very excited about this addition to our family! It does feel good to be writing again--really am enjoying it very much! Thanks so much, Christopher! It's always great to hear that this blog has been helpful to others. I'm happy it was there for you and that you still stop by! While it has been a challenging year, things are looking up! And it feels soooo good to be back to writing again! Taking the rest was necessary, but now I'm back to work!